We are the leading manufacturer, importer and exporter of CNC Plasma Cutting Machine. CNC Plasma cutting Machine is mostly used in almost all Industries for higher productivity and to reach faster R O I stage. Primo's CNC Plasma and Flame cutting machines give high quality cutting for MS and SS profile cuttings used in Automobile Industries, Steel door manufacturing Industries and wherever quality and faster cutting are required. 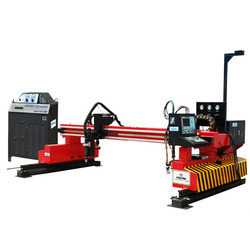 Looking for CNC Plasma Cutting Machine ?